The 135th Audio Engineering Society Convention (Thursday, 17 October, through Sunday, 20 October, 2013, at the Javits Center in New York City) will feature a comprehensive Game Audio Track, focusing on audio trends and issues in the gaming industry. As the track’s co-chairs, industry veterans Michael Kelly and Steve Martz have assembled an inclusive series of panels, sessions and presentations that address the many dimensions of this complex sector of professional audio. These include multichannel game audio, 3D sound, sound effects, immersive game sound, the emotional components of game audio, and other key points of topic. “This year’s Game Audio Track is going to be particularly fascinating, because of several key changes in the gaming industry,” observed Michael Kelly, who in addition to co-chairing the Game Audio Track is also director, research and development, for DTS and chair of the AES’s Technical Committee on Audio for Games. 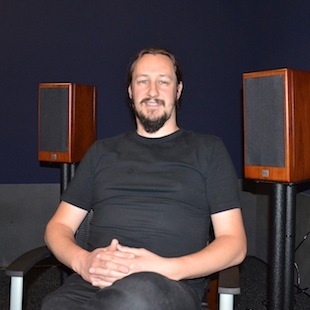 Kelly, who has co-chaired the technical committee since 2004 with Steve Martz and jointly organised the convention activity since then, pointed out, “The games track at US AES conventions has grown into a major event. This is the first time we’ve officially shared the chair for the games track, in order to keep on top of the planning. Undoubtedly, the biggest change in the larger industry this year will be the launch of new gaming consoles. That’s always an exciting event for any games track, and a lot of our events will be covering that. In particular, we have leaders from both Sony and Microsoft looking at where sound in games is going in the future. We’ve also got a strong focus on mobile and web-based gaming to reflect the significance of that sector of the games industry.